Well, that adds a new dimension to friendly service. 7 Responses to Bad Signs, Cont. 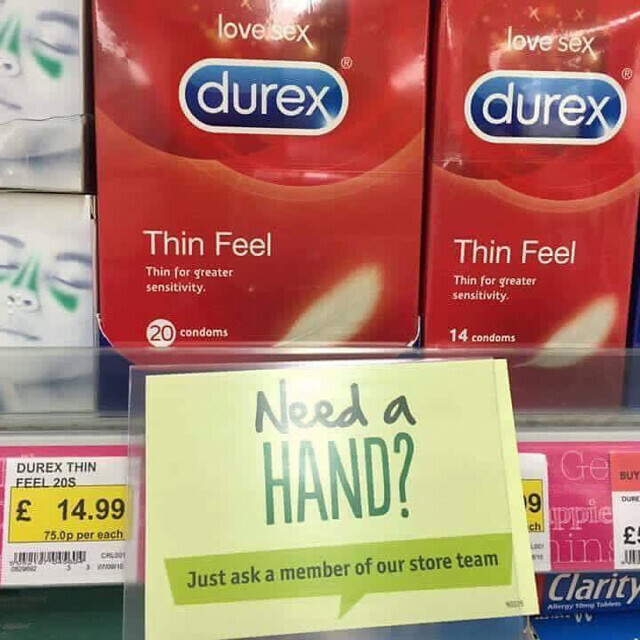 If you want to skip the Durex the friendly hand costs extra. If the hand were dirty. or diseased. wouldn’t you want one for its prophylactic qualities? LUV that dry Brit humour.